ADOBE US stock is finally rallying as planned from the Daily demand zone at 528 price area. 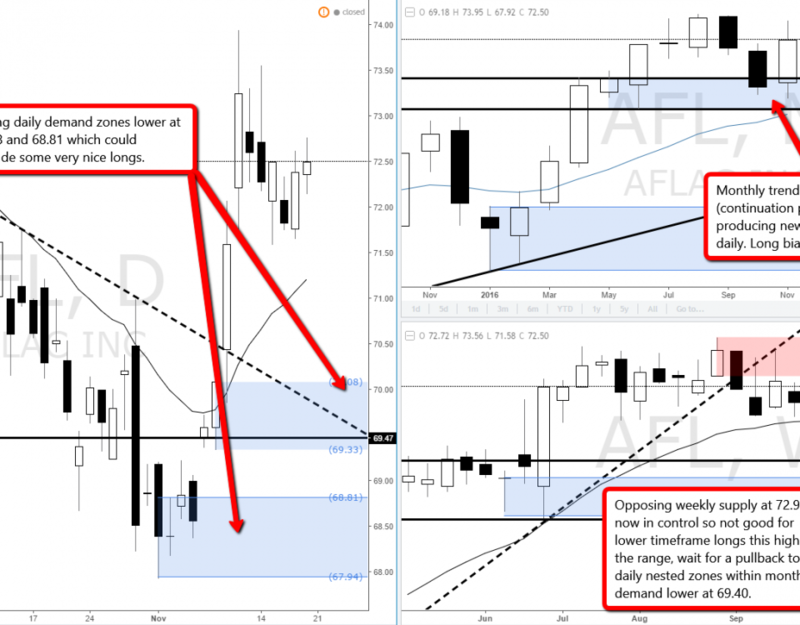 Daily demand level holding for now, room to rally supported by weekly and monthly demand imbalances in a clear uptrend. 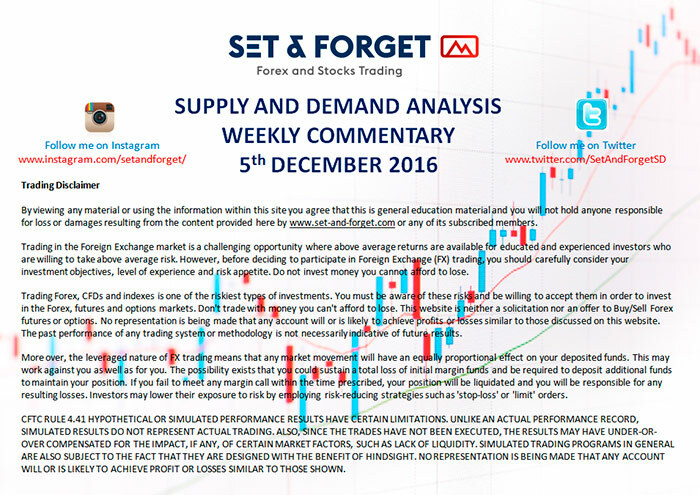 This entry was planned in previous supply and demand video analysis, check it here. 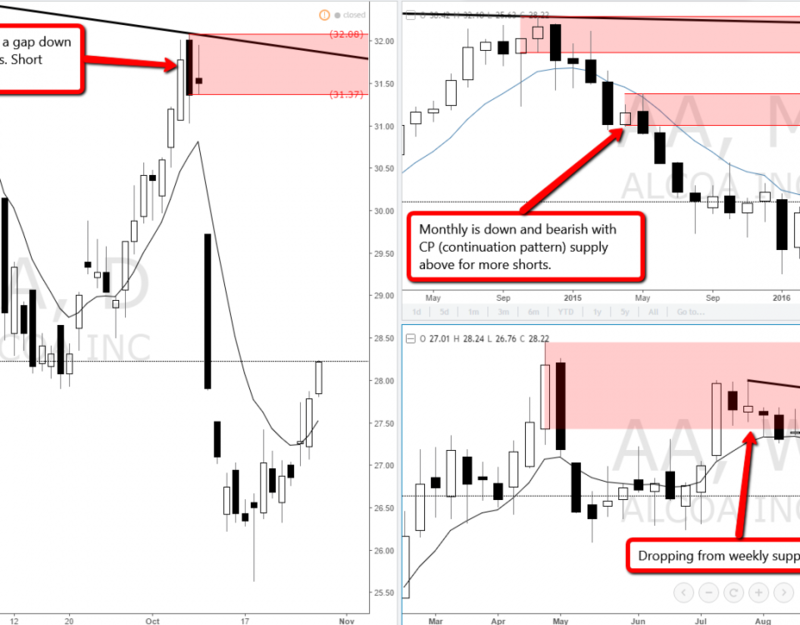 US Stock Alcoa is dropping from weekly supply and creating new levels of daily supply for potential shorts. Short bias. 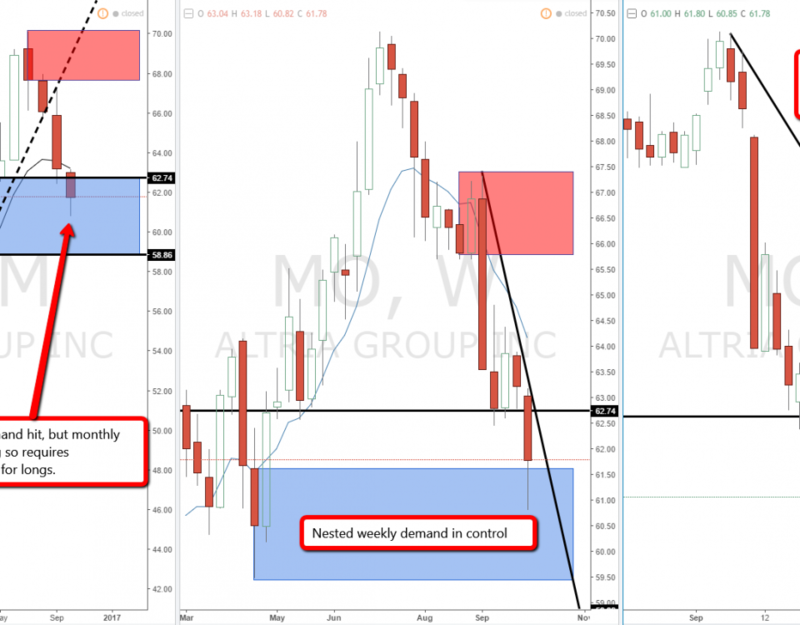 US Stock Altria Group is within monthly demand with monthly consolidating so confirmation required for longs. 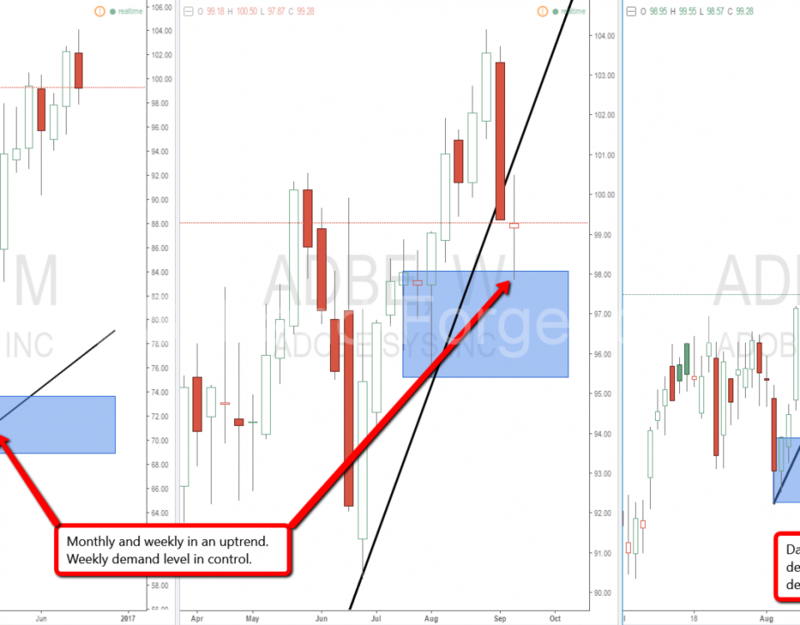 Confirmation means that new levels of demand are created on the daily. Long bias. US Stock Bristol Myers Squibb is dropping strongly and creating brand new levels of supply on the monthly, weekly and daily. Short bias. 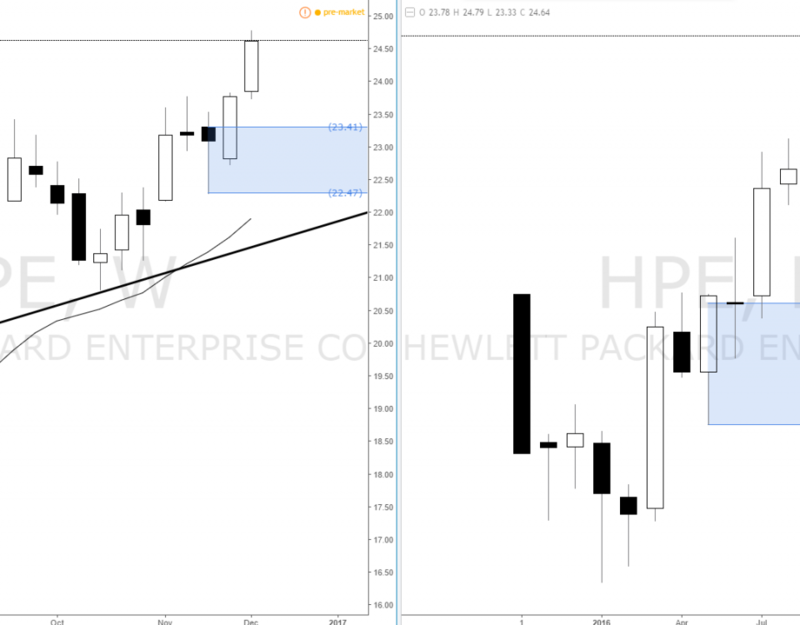 Monthly, weekly and daily are in an uptrend, demand zones are being created and respected. 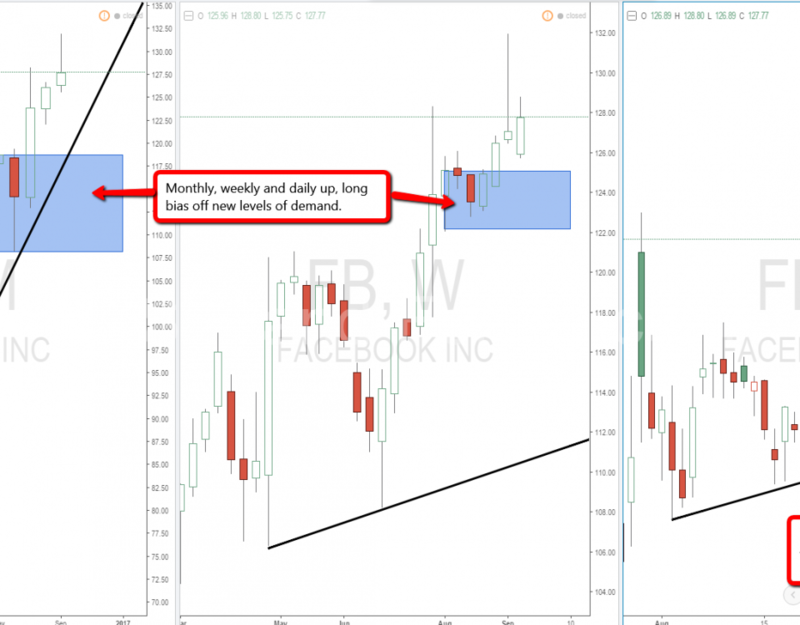 Long bias on Facebook US Stock, buy new levels of demand. Nasdaq Index has a similar scenario with new areas of demand being created. 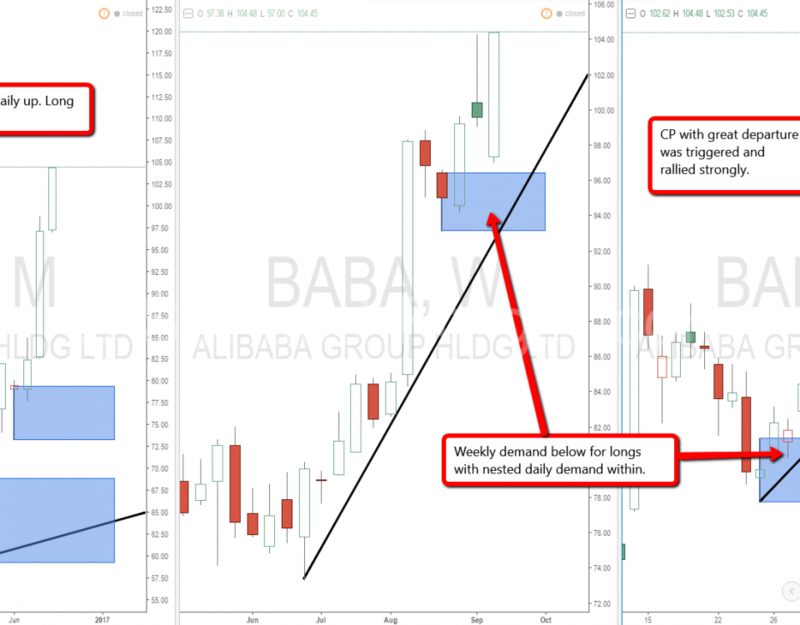 Long at new demand levels.